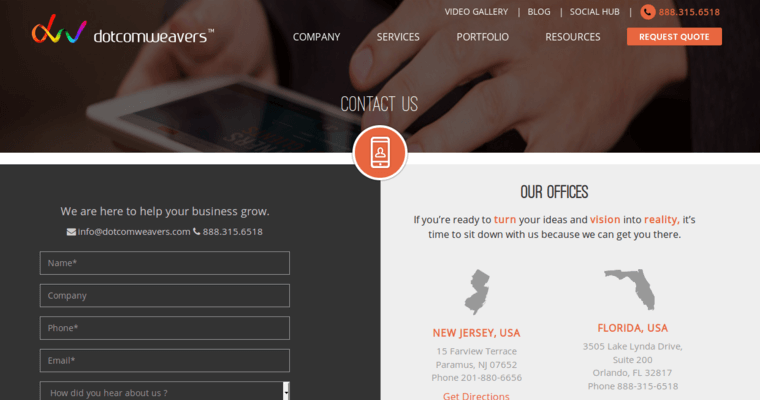 DotcomWeavers is a top web design firm with offices in Florida, New Jersey and New York. They offer services in both web design application and e-commerce websites, specializing in Magneto technology. 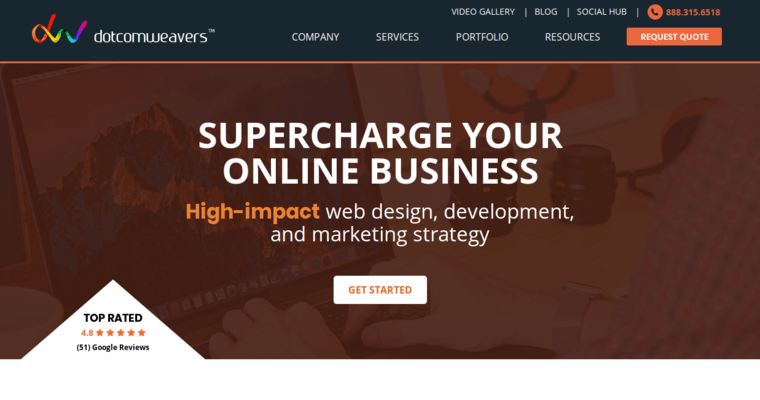 Websites designed by DotcomWeavers are designed with one-of-a-kind custom software such as Augmented Reality, Matchmaking, E-marketplace and Cloud Computing, helping to meet the goals for your company. 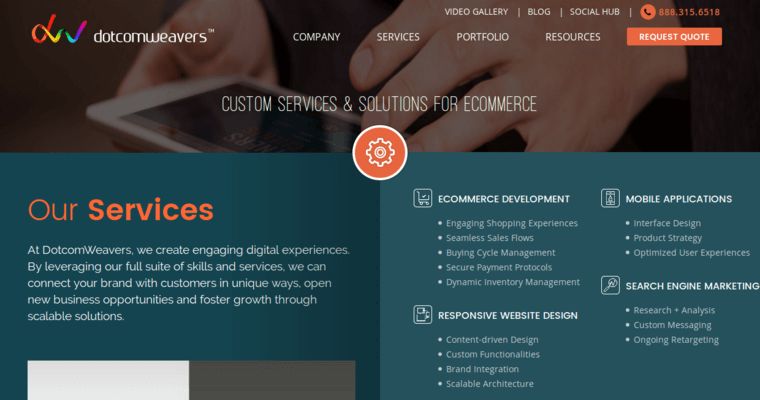 DotcomWeavers offers custom ERP Integrations so that all aspects of your company work together smoothly and can be managed from one place. If your company would like a mobile app designed, DotcomWeavers have the expertise to create a unique a user friendly application. They know that meeting the needs of customers on the go is very important. They can also help with marketing strategies by going over business data and helping you decide what is – or isn’t – working and putting into place a successful plan. For sample work or contact information go to the DotcomWeavers website.